 On 16 November, ShoreTension claims the “2017 Product Innovation Award” at the Lloyd’s List Global Freight Awards ceremony held in London. This award was sponsored by CargoSmart showcases smart new products which enhance performance and reduce costs. Currently, over 100 ShoreTension units have been installed worldwide with contracts with the most exposed Ports. 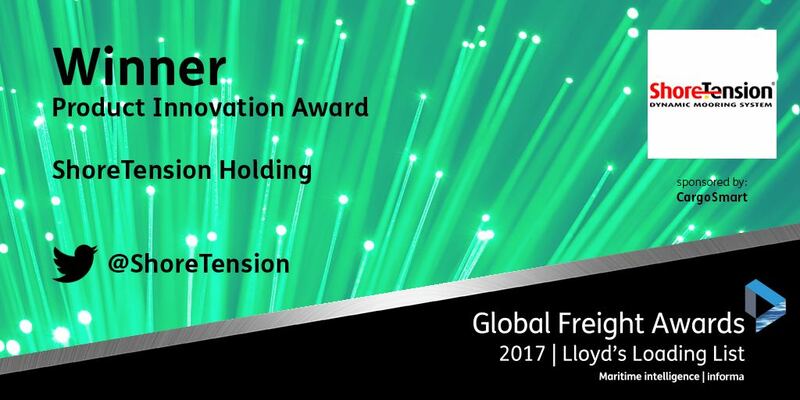 Rotterdam, 23 November, 2017 – ShoreTension has won the Product Innovation Award at last week’s Global Freight Awards 2017. This award sponsored by CargoSmart showcases smart new products which approach the everyday in new ways, enhance performance, decrease costs, or spearhead that big change that no one even thought they needed until it was made. 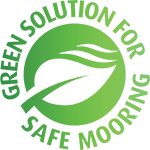 The revolutionary ShoreTension System creates the safer mooring of sea-going ships and can be used at any cargo terminal for ships of any size. The ShoreTension System firmly anchors ships to the quay with greater stability than traditional methods, significantly reducing movement caused by strong winds, currents, swells or passing ships. By doing so, it allows quay cranes to operate unhindered and significantly reduces the risk of damage during loading/unloading. Furthermore, operations can continue for longer in inclement weather, increasing operational efficiency and reducing a vessel’s stay in port. The cylindrically-shaped ShoreTension System exerts constant pressure to a ship’s mooring lines, which are fastened to quayside bollards. After an external hydraulic system is used to get the ShoreTension System at the correct tension, no further electricity is needed. The cylinder of the ShoreTension System hydraulically moves with the forces to which the mooring line is exposed without the need for additional energy. ShoreTension keeps all mooring lines at the same, constant tension, adjusting to wave and/or wind condition changes, which is particularly crucial for the safe and stable mooring of vessels. It is the differences in tension between the different mooring lines which cause a ship to move the lines to snap. Currently more than 100 ShoreTensions have been sold worldwide and many projects are under investigation. Below is a map of ports where ShoreTension has been successfully launched.